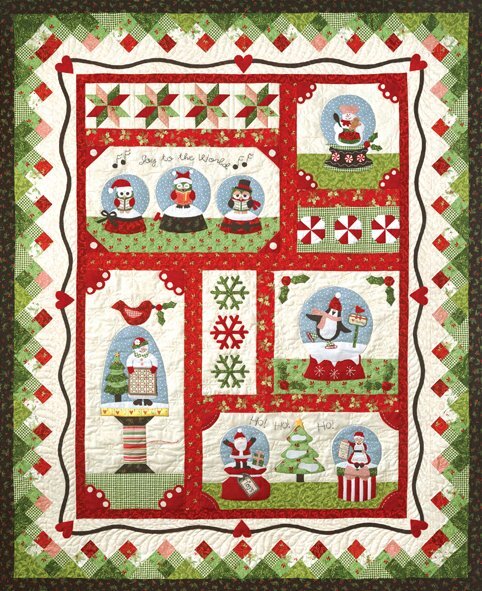 Now that it's spring, it is the perfect time to start making a Christmas quilt with no pressure! This Snow Globe village is snow cute! Our Christmas quilt is filled with 8 magical snow globes each with its own theme. The snow globes, peppermints & snowflakes and four patch borders are fun to make. The quilt consists of raw-edge fusible applique along with pieced blocks and borders. Bet you'll get it done!